An Interview with Dr. Sushil Vachani, Director of Indian Institute of Management Bangalore. India is a ripe area for the large expansion in educational access that is enabled by MOOCs. Class Central asked some questions of Dr. Sushil Vachani, Director of IIMB, who kindly responded with his insights on IIMBx, its vision, and approach. The edited transcript is below. Class Central: For those who are not familiar, can you briefly describe the history and charter of the IIMs in India? And can you briefly describe IIMB? Dr. Vachani: The IIMs (Indian Institutes of Management) are Indian public institutions of national importance that are autonomous, standalone management schools and not part of any university. The schools work within the national policy guidelines established by the Indian Government. A Board of Governors oversees the management of each of the IIMs (there are presently 13) and provides strategic directions. Every IIM is led by a Director who is the head of the institution and is governed by a Board. The IIMs were established to train high-quality managers and support industry with their activities. 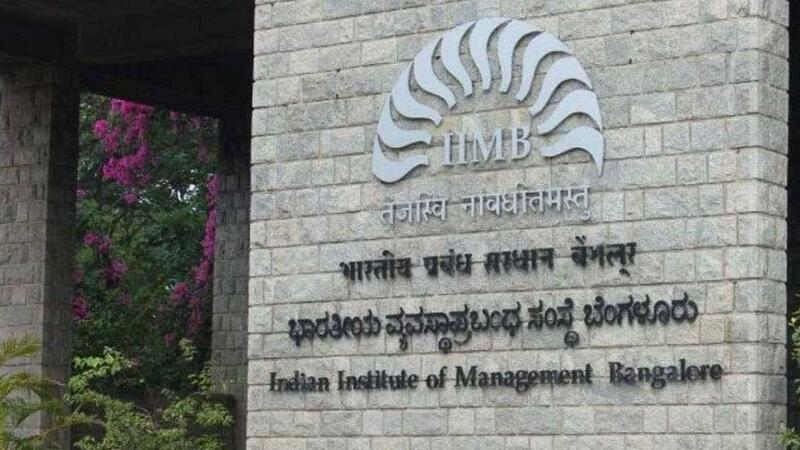 IIM Bangalore, established in 1973 by the Government of India, is among the top management schools in India and Asia according to several rankings. We are an EQUIS accredited management school. We aspire to become a leading school globally with thought leadership that informs students and impacts the managerial practice, especially in emerging economies. Our students are among the best in India and our programs are highly selective. Our faculty publish in the leading academic journals. IIMB is a graduate school – we do not provide undergraduate education. Being located in Bangalore, we have access to some of the top Indian and multinational organizations, whose managers engage regularly with us. IIMB is a graduate school – we do not provide undergraduate education. We award the Post-Graduate Diploma in Management which is equivalent to an MBA programme. Similarly, we award the title of the Fellow in Management that is recognized as equivalent to a PhD degree. We also award an Executive Post Graduate Diploma in Management for our one-year full-time MBA programme, a Post Graduate Diploma for our programme in Public Policy & Management and a Post Graduate Diploma in Enterprise Management for our part-time programme catering to executives. Class Central: What is the vision for the IIMBx initiative? Our vision is to provide management courses for young graduates, career professionals, entrepreneurs, and micro-enterprises – because the principles of management that we teach are relevant for everyone from the humble trader who has a small grocery store to the young college student interested in broader education. Class Central: Where geographically do you expect it to be appealing? Dr. Vachani: IIMBx MOOCs aim to create deep social impact in India. If we have to achieve our Prime Minister Modi’s vision of ‘Make in India’, we need to upgrade the management skills of a vast majority of the workers in India. Furthermore, the number of management courses in online format is still limited – so, with our MOOCs, we aim to equip the global learner with requisite skills. In fact, our first set of MOOCs has representation from over 170 countries. Presently, around 33% of our registrations are from India followed by the US (18%) and the UK and Germany (3%). With our plans of making transcripts available in multiple Indian and international languages, I am sure our geographic footprint will expand. Class Central: What is the scope of the courses that will be offered and how were the initial courses selected? Dr. Vachani: IIMBx plans to cover core management topics on the basics and essentials of management and some niche areas such as sustainability, analytics, etc. in our first few offerings. We had a series of orientation and information sessions with our faculty on MOOCs, edX and online learning. Some of our faculty and staff visited edX, HarvardX, MITx, BUx and WellesleyX to improve understanding of the MOOC world. As the excitement and willingness to adopt technology to teach set in, 10-15% of our faculty, across all our management disciplines, expressed a keen desire to offer MOOCs. Consequently, we now have plans to offer courses covering core management principles and some in-demand specialized areas of management. Class Central: Who will act as TAs in the course? Class Central: Does IIMB have a unique perspective on online education or pedagogy? Dr. Vachani: At IIMB, we are gearing up to create the capability to teach differently. Our MOOCs embrace the ‘active learning’ methodology by giving the learner the opportunity to employ various learning modalities – listening, watching, reading and acting on the knowledge gained. Each concept is explained using a carefully designed learning sequence that intersperses bite-sized videos with quizzes, readings and assignments. Discussion forums with thought-provoking questions add to the peer learning experience. Class Central: How will these courses help the university fulfill its mission? Is it envisioned that they will provide future revenue streams? Dr. Vachani: IIMB’s motto is that of ‘radiant learning’ – in which high quality management education reaches every corner of India and the world. MOOCs are just the right technology vehicle to help us achieve our vision. At present, our mission for IIMBx is social impact. Revenue models will be explored later. Class Central: What kinds of people would be ideal learners for these topics? Dr. Vachani: Management skills are needed not only by the elite group of smart youngsters who graduate from our campus, but also for the young career professional, the aspiring entrepreneur, the grocer around the street corner, the smart homemaker and senior citizen. Each one of them will benefit from our courses. Our long-term plan is to organize online management programmes for micro-enterprises as well. Class Central: What certification options are available or are being planned? Dr. Vachani: Our MOOCs come with two types of certificates – a free ‘Honor Code Certificate’ and a paid ‘Verified Certificate’ priced at a minimal USD $25. Class Central: What is the state of business education in India? How can these MOOCs help expand business education? Dr. Vachani: In some ways business in India is similar to that abroad. For example, large Indian companies operate in ways similar to multinationals. Education for managers of large companies is, therefore, similar to that in developed countries. However, India and other emerging markets provide special opportunities in rural areas and at the base of the pyramid (both rural and urban), as well as opportunities arising from cultural differences. This results in need for management education that is tailored especially to the needs of the Indian context, and the emerging market context in general. Business education in India must create social impact by addressing the massive unmet need for high-quality affordable education. MOOCs provide the opportunity for meeting those needs in an efficient and effective manner, without the prohibitive investment that would be required in bricks and mortar if education were to be delivered by conventional means. This is a cross post by Class-Central.